A powerful lather for really clean skin. 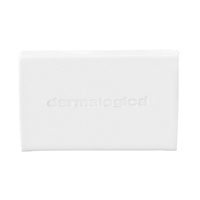 Raise the bar with this soap-free, acid-balanced cleansing agent that removes impurities and breaks down surface oils without stripping skin. Helps maintain skins natural moisture barrier to prevent dryness and tightness. Travels easily in a gym or travel bag. Contains no artificial fragrance or color. Ideal for the most sensitive of skins, and for those who currently wash with traditional soap bars that are too high in skin-aggravating alkalis.